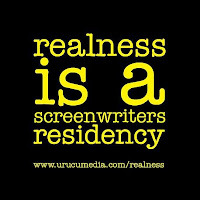 Urucu Media, under the mentorship of Berlinale Talents, in partnership with Nirox, Durban Filmmart, Restless Talent Management, The French Institute of South Africa and Institute Français's Cinémas du Monde proudly presents REALNESS, a screenwriters residency for a new generation of African cinema. From June to August 2016, 5 screenwriters will be invited to attend a seven-week residency to develop a new draft of their original feature screenplays. 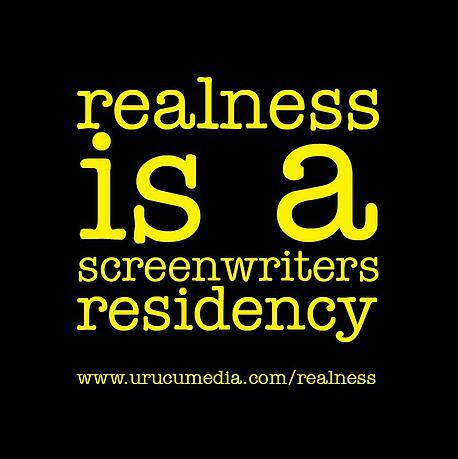 The aim of REALNESS is to provide the necessary time, space and support to help the continent's best emerging writing talents hone their unique cinematic vision. Week 1: The residency will kick off on 16 June 2016 with an introductory week at Durban Filmmart, Africa's top co-production market. Residents will have the opportunity to immerse themselves in films, attend seminars and present their projects to industry professionals for feedback. Each resident will prepare a public presentation of their project at the end of the week. Week 2-6: Residents will be transported to the Nirox artists residency in the Cradle of Humankind, where they will spend six weeks working in a tranquil and nurturing living environment. During the first week, top international script consultants will conduct workshops and one-on-one sessions with the residents. Thereafter, residents will work at their own pace, with ongoing support in the form of workgroups with fellow writers, curated film screenings, producer-led case studies and discussions with visiting industry speakers. Week 7: In the final week, residents will have a debriefing and follow up Skype-sessions with their consultants. After leaving the residency, writers will be invited to submit a new draft of their screenplay by 30 September 2016. The most promising project to emerge from REALNESS will be invited and funded to participate in the prestigious La Fabrique des Cinémas du Monde in Cannes, 2017. REALNESS recognizes the real-life demands of most writers and that taking time to develop a screenplay is not always economically viable. To this end, residents will receive a stipend of R15 000 and all food and accommodation expenses will be covered for the duration of their stay. Please note that residents will be responsible for their own travel costs to and from the residency. We will assist in efforts to obtain sponsorship from country culture desks, embassies & other interested institutions. While the residency will be conducted in English, REALNESS aims to accommodate non-English speaking participants by providing consultation in French and/or Portuguese where necessary. All submitted material must be in English. A committee appointed by Urucu and their partners will read the project entries and conduct interviews with a shortlist of candidates early in March. The REALNESS selection will be announced at an event hosted by the pavilion Les Cinemas du Monde in Cannes, 2016. Event shared via Institut Francais Afrique du Sud.